At Greens & Grapes we’ve spent the last two seasons building ourselves as the local experts in providing golf holidays in Bordeaux and south-west France. Bordeaux is now well established as a top tourist destination, as recent awards, press articles and 2017 tourist statistics show. But now Bordeaux, and the south-west France (Les Landes and Biarritz) are no longer a golfer’s hidden delight. We are working with our partners to put our region on the international tourism map. More and more people are coming for a golfing holiday in our region. It’s all about providing golfing gourmets with a relaxed and chic experience which makes it more than just golf and sun ! We are delighted to be members of the Bordeaux Convention Bureau to promote the area to international business visitors. 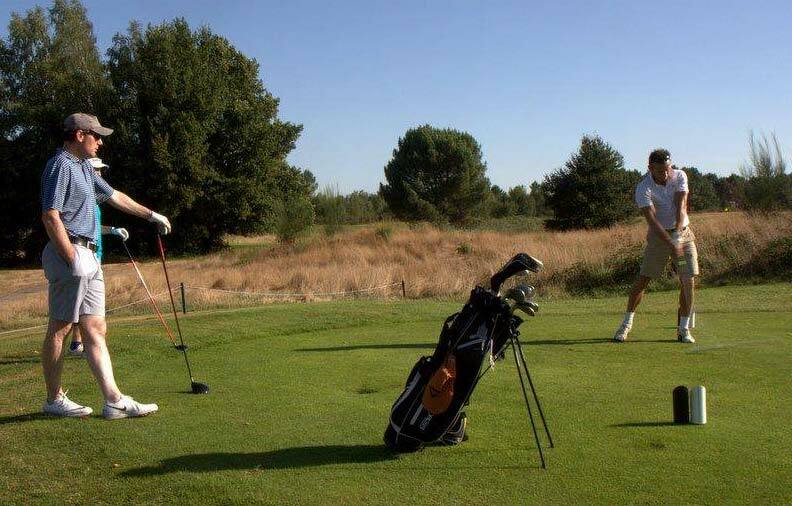 As the only golfing specialist referenced by this unit of the Bordeaux Tourist Board, we offer golfing corporate days, incentives, as well as a new Golf and Wine Escape Game. But that’s not all! We have also been accepted as members of the Global Golf Tourism Organisation (IAGTO). The organisation has more than 2,500 accredited golf tour operators, resorts, golf courses and tourist boards as members. We are pleased and excited to be representing France. We hope to showcase Bordeaux and make the south-west France stand out among the other 96 countries involved in the IAGTO. Our focus is now on travelling to Cannes in December for the International Golf Travel Market (IGTM), where we will promote our new packages and build relationships with golfing partners around the world. IGTM is an offshoot of the highly success World Travel Market exhibitions that are held around the world each year. It should attract some 1300 golf travel professionals. We are excited to be able to meet these industry insiders and introduce Bordeaux as a golf and gastronomy destination. Greens & Grapes was nominated for ‘Best Inbound French Tour Operator’ at the World Golf Awards, which celebrate and reward excellence in golf tourism. It’s the first time we’ve been nominated – and in only our second full season, which we feel is an huge achievement. Want to find out more about golf in Bordeaux? Why not read our frequently asked questions page?